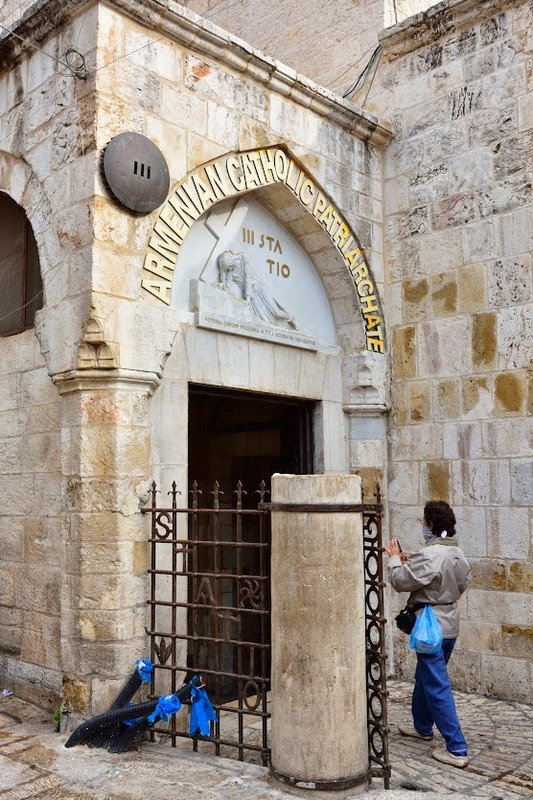 First stop for the day was Via Dolorosa. 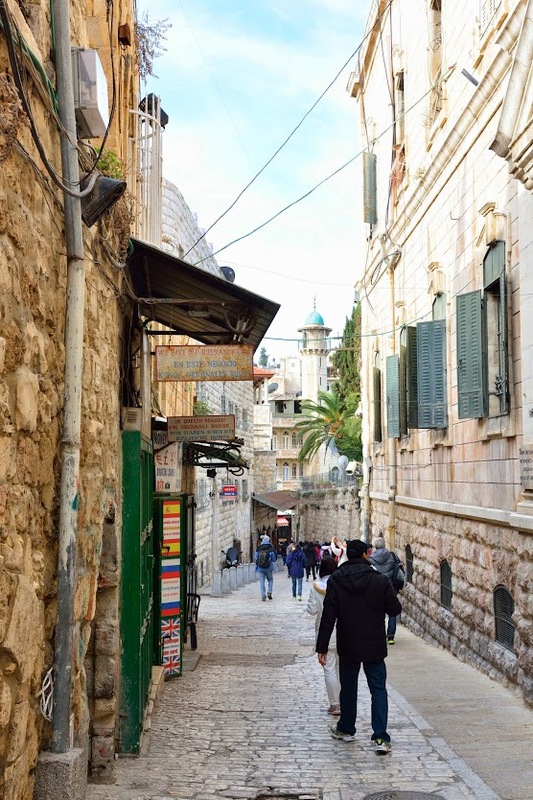 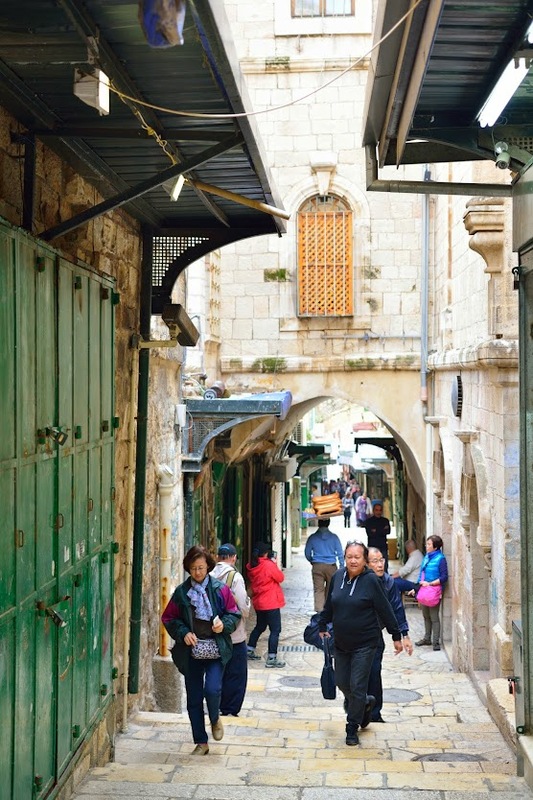 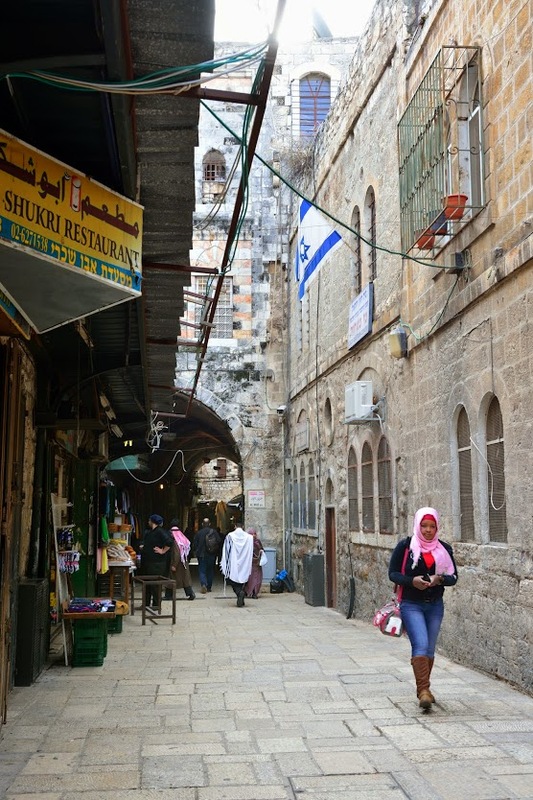 The Via Dolorosa (The Way of Suffering) is the name of a street in the Old City of Jerusalem, believed to be the path that Jesus walked on the way to His crucifixion. 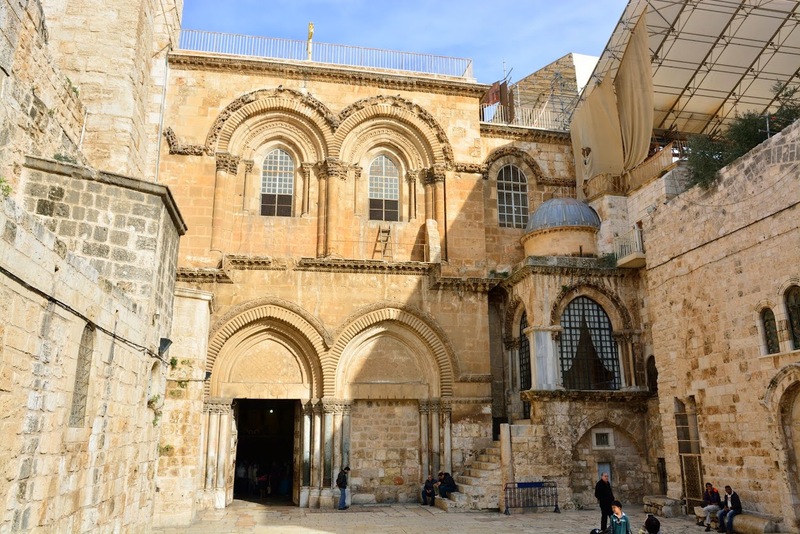 There are 14 stations, each signifying a certain point in Christ’s journey with the last five stations situated inside the Church of the Holy Sepulchre. 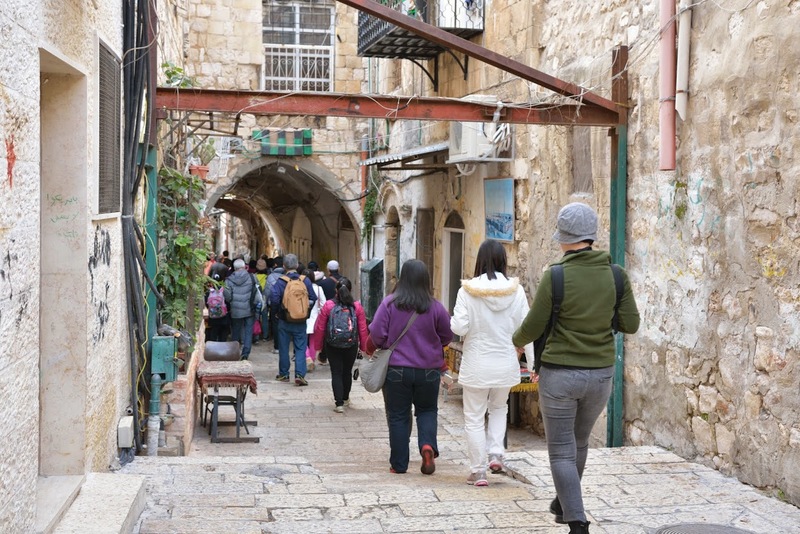 The Lithostratos (“The Pavement”) is located at the third station of the Via Dolorosa and is where Pilate heard and sought to release Jesus (John 19:13). 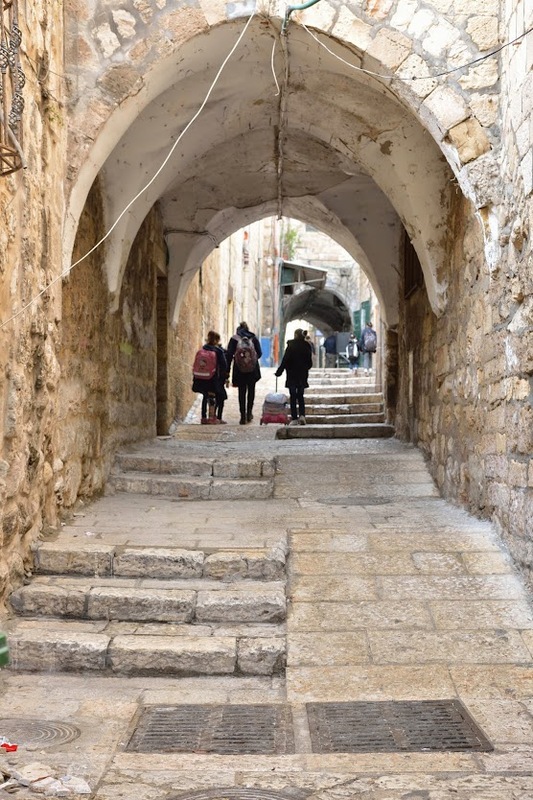 The reconstructed ruins of Ecco Homo Arch, with its three openings, can be seen as you move from the second to the third station of the Via Dolorosa. 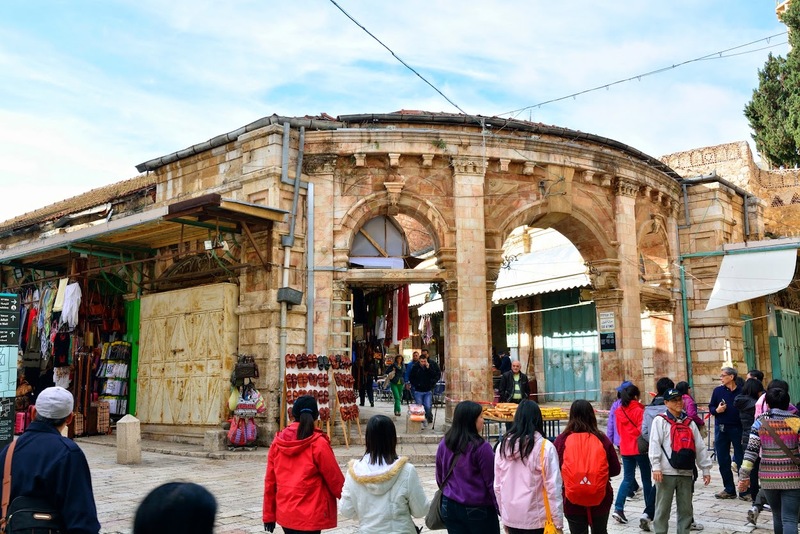 This spot is where Pontius Pilate presented Jesus to the Jews and said, “Ecce Homo!” or “Behold the man!” (John 19:1–5). 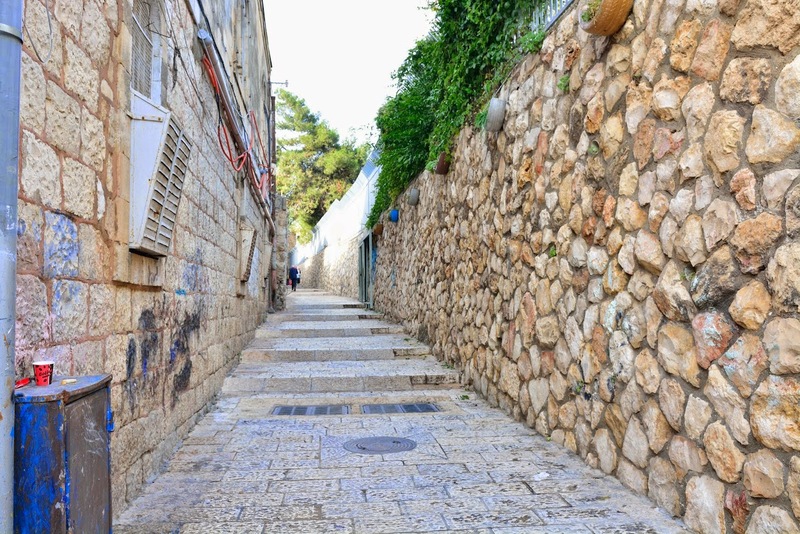 The Via Dolorosa (Way of Grief/Sorrows/Suffering) is the traditional route in Jerusalem which our Lord traveled on the day of His crucifixion from the judgment seat of Pilate, also called the Praetorium (Matthew 27:2-26), to the place of His crucifixion on Mount Calvary. 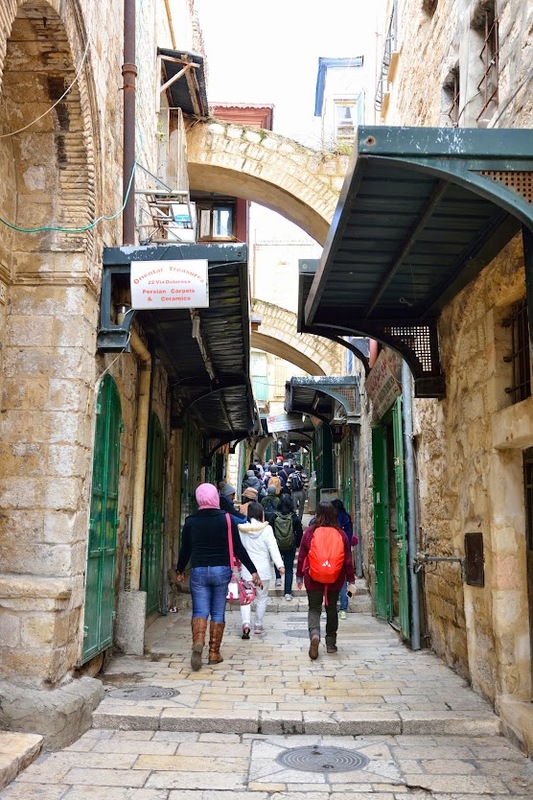 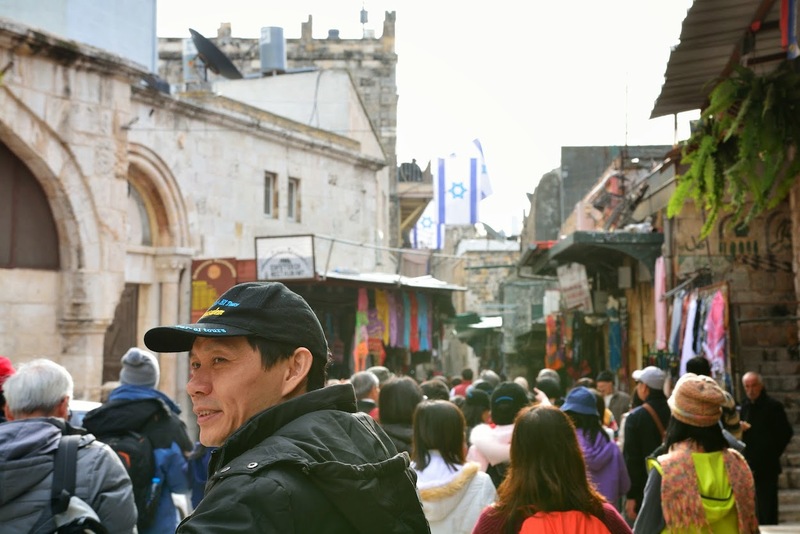 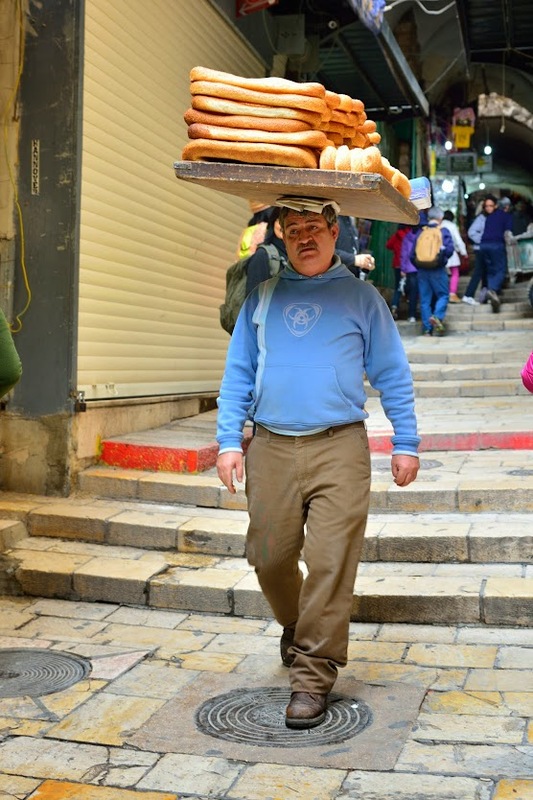 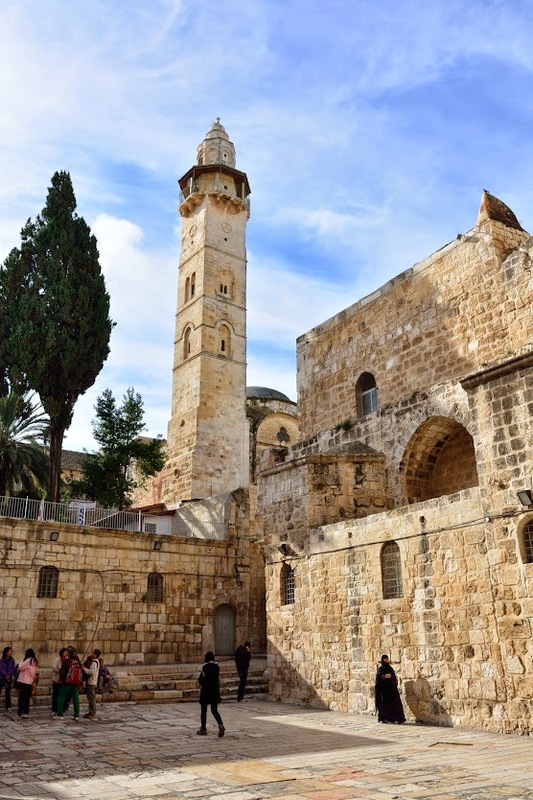 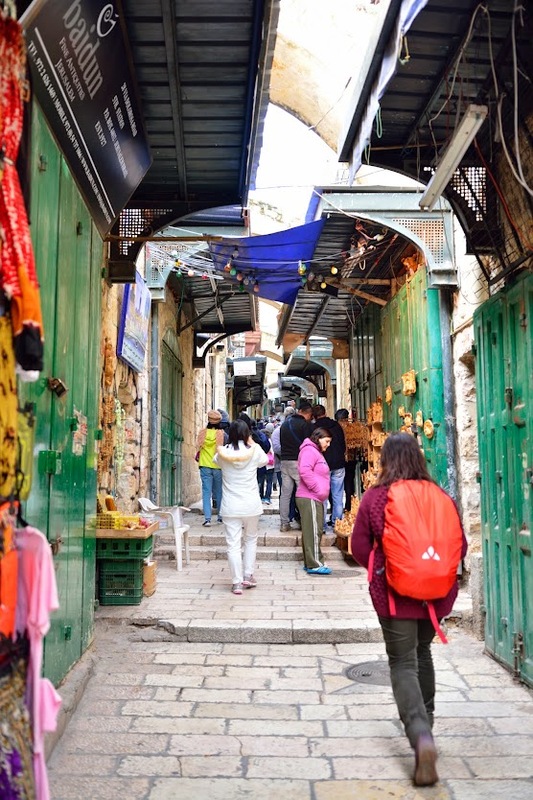 It is now a street, in two parts, within the Old City of Jerusalem, held to be the path that Jesus walked, carrying his cross, on the way to his crucifixion. 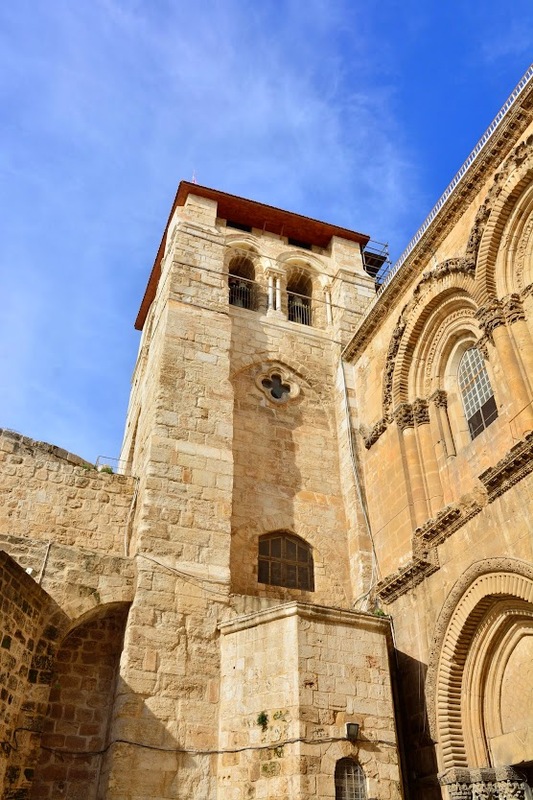 The winding route stretched at a distance of about 600m from the Antonia Fortress west to the Church of the Holy Sepulchre. 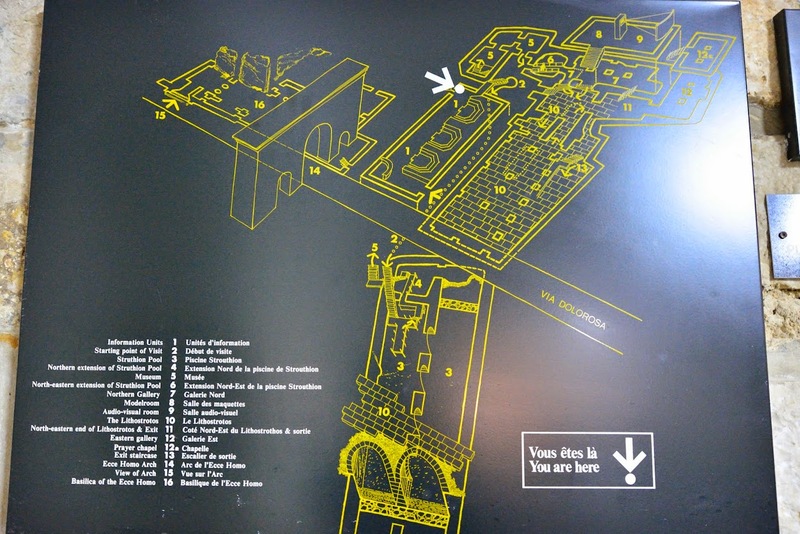 The current route has been established since the 18th century. 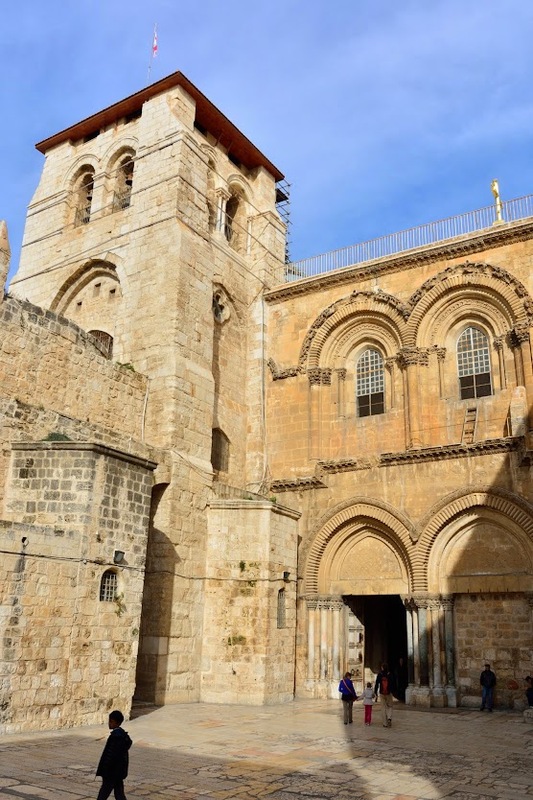 It is today marked by nine Stations of the Cross; there have been fourteen stations since the late 15th century, with the remaining five stations being inside the Church of the Holy Sepulchre. 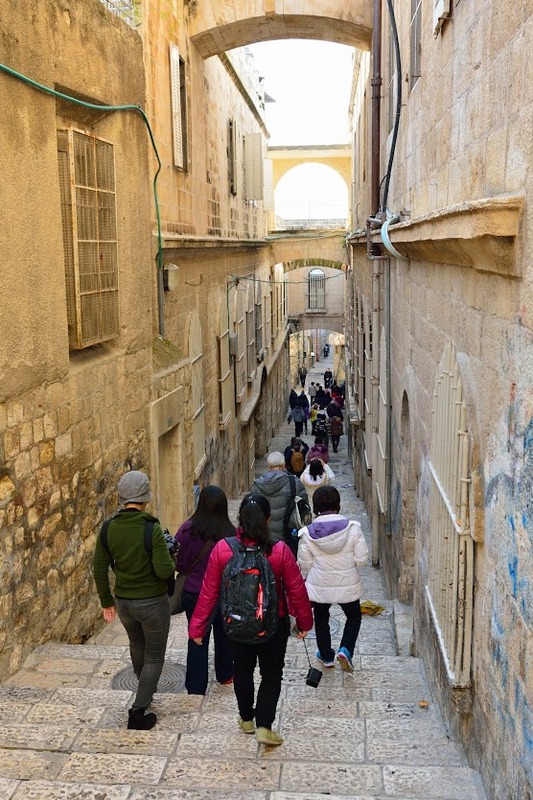 Going down to the Sturthion Pool (open water cistern cut by Herod). 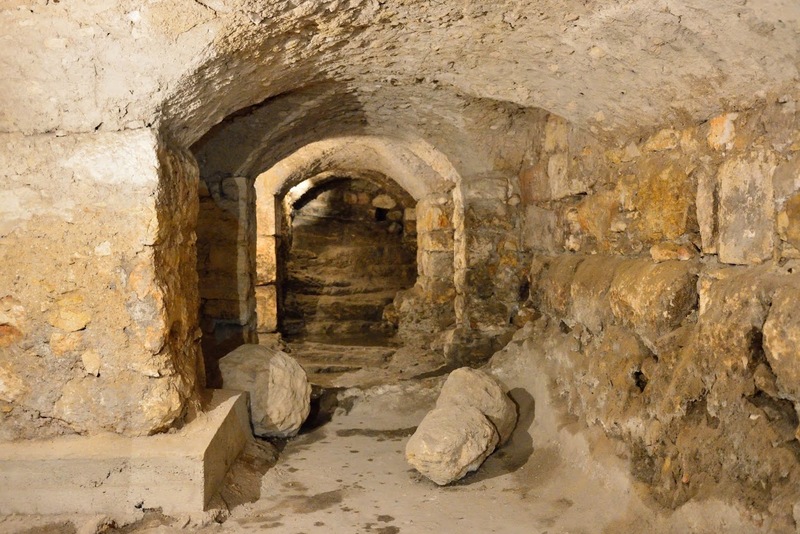 Cistern under Sisters of Zion Convent. 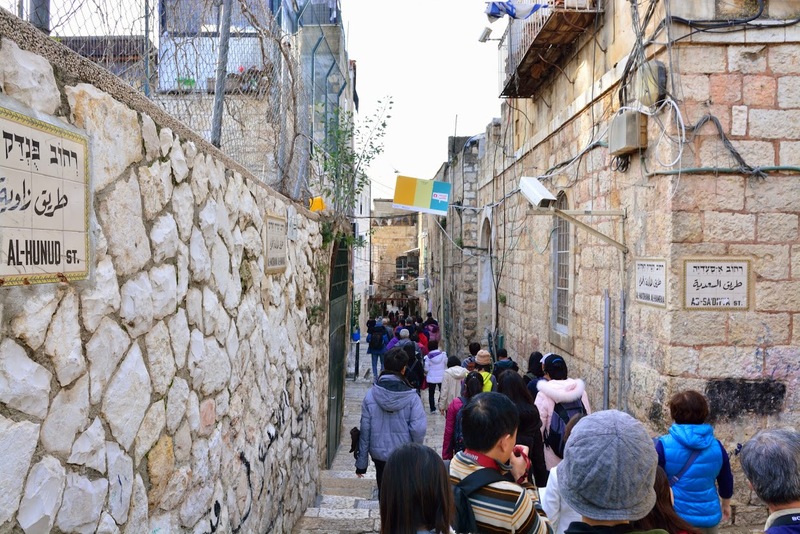 Following the different stations of the Via Dolorosa. 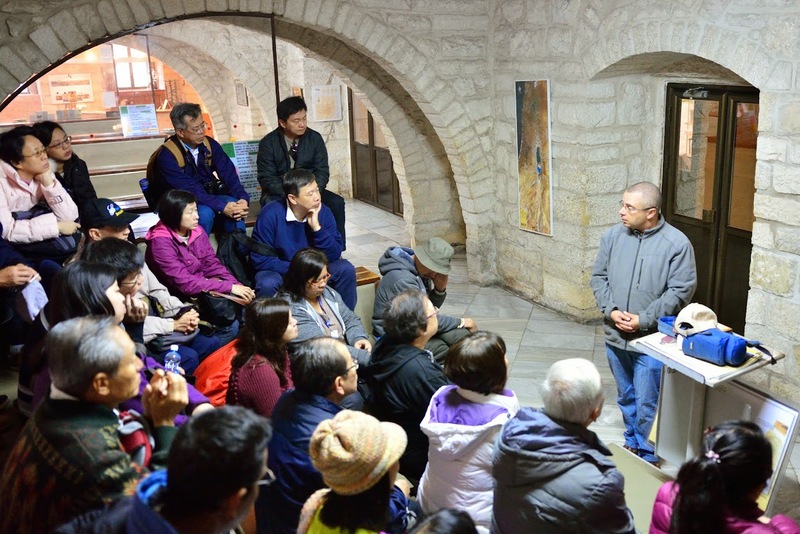 The guide did not bring us to all stations. 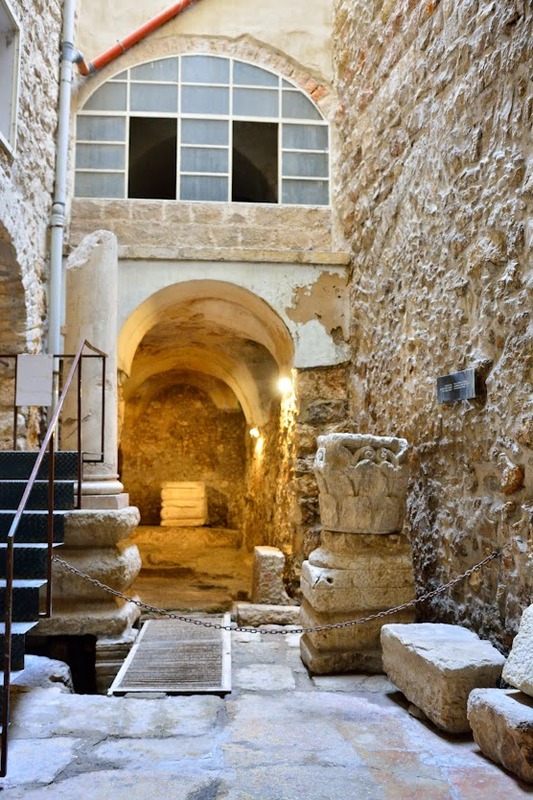 Station 3 - Lithostratos (“The Pavement”). 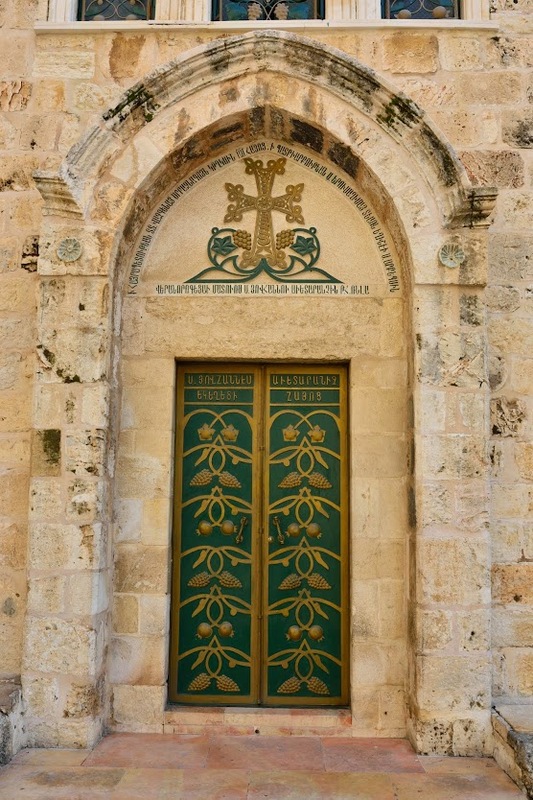 The exterior of the Polish Catholic Chapel at the third station. 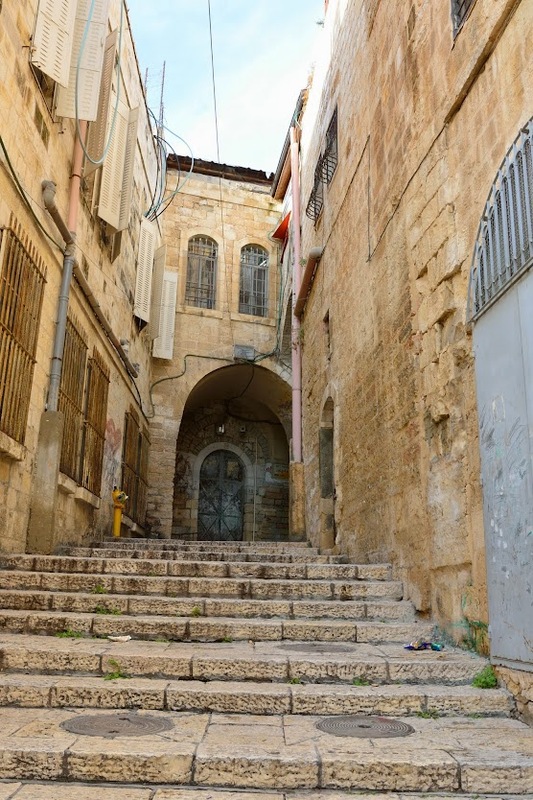 Miss the Ecco Homo Arch. 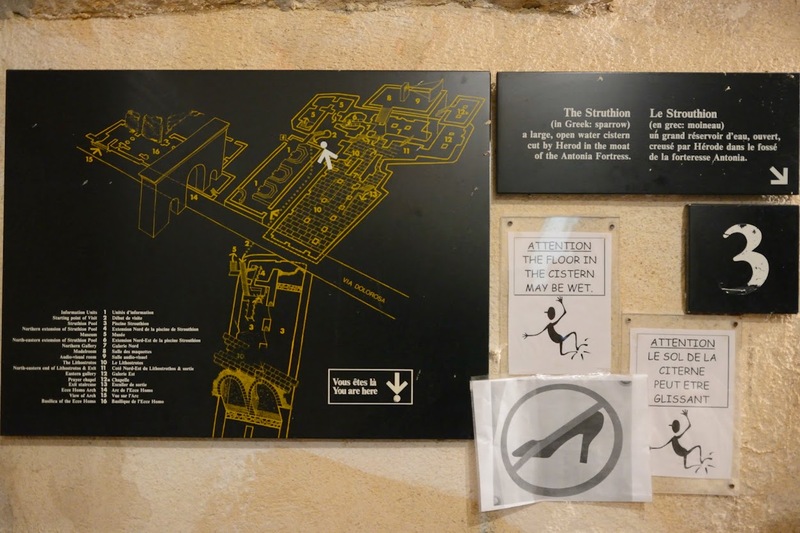 Probably not an important icon for our guide. 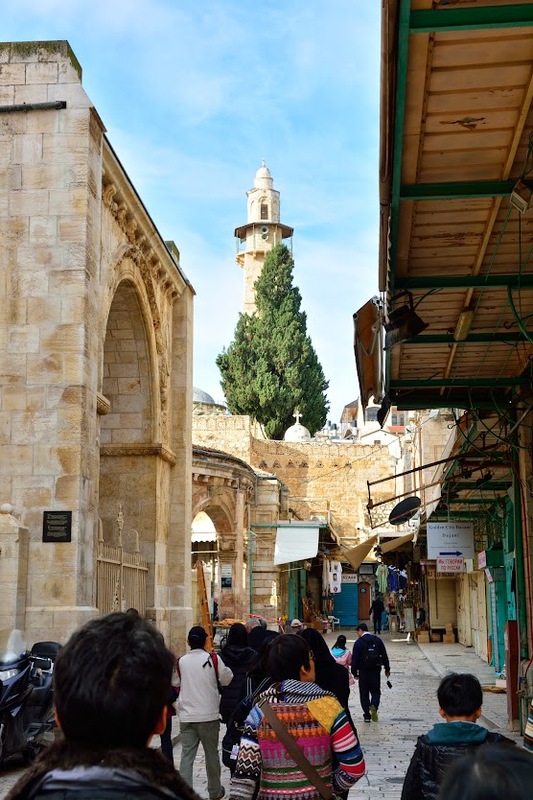 Muristan, located inside the Christian quarter, and includes the Aftimos market and the German Church of the redeemer.